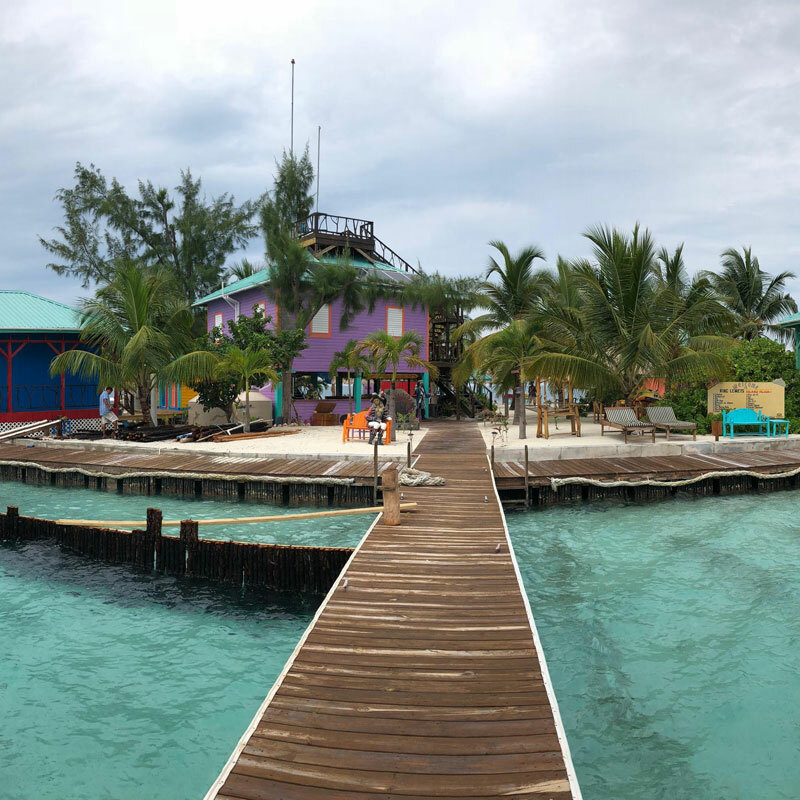 Blog / March 7, 2019 by IBG Inc.
On 27 May 2018 three of us, Islandians each, visited Placencia, Belize for a weekend of exploring potential properties within budget for this project and to conduct due diligence as to the feasibility of Belize overall as host to this grand experiment. We met with local experts in construction, real estate, law, immigration, tourism and boating. We spoke with locals and foreigners alike living in the tourist areas and on their own private islands, including the proprieters of a couple of turnkey island operations, similar in nature to one of the aspects of the business we are building. We found ourselves in awe and appreciation in equal measure, all along the way, as we were impressed by what others had done and inspired to improve and add to the already burgeoning tourism industry in the region. Placencia is a tourist-friendly and popular town in the south of Belize, around four hours drive (or 30 minutes flying) from Belize City or from the capital city of Belmopan. Belize City boasts a small but bustling international airport, with direct flights daily to New York City, Houston, and Miami, amongst other major hubs. Placencia itself is lined with resorts, hotels, great beaches, casinos, and restaurants, and would certainly be a boon in attracting tourists to our island, both for overnight stays and for activities and tours run from the island, such as diving, fishing, stargazing, water sports, etc. 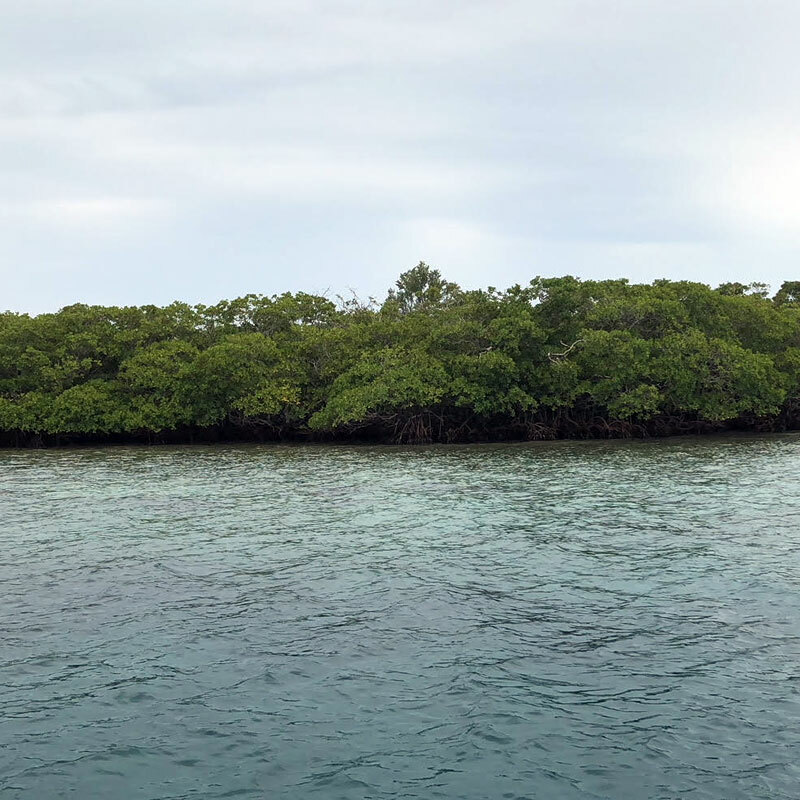 Secret Island was just one of the islands we saw, but it fits squarely in our price range, and its proximity to the mainland, size, price, and potential make it a keen first candidate to be featured in our search. Secret Island sits approximately seven miles (11 kilometres) off shore in the Caribbean Sea, within reach by boat inside of 20 minutes, and similar distances from two other island lodgings that have cropped up nearby. What is around the island? There are a couple islands within sight of Secret Island, but mostly it’s just open sea! There’s a shallow slope from the shore into the water, and an impressive dropoff after a few meters into the sea, meaning it would be easy to dock large boats as well as small. Nearby are two other islands that have been developed for tourism, and they sit on oppsite sides of the development spectrum. 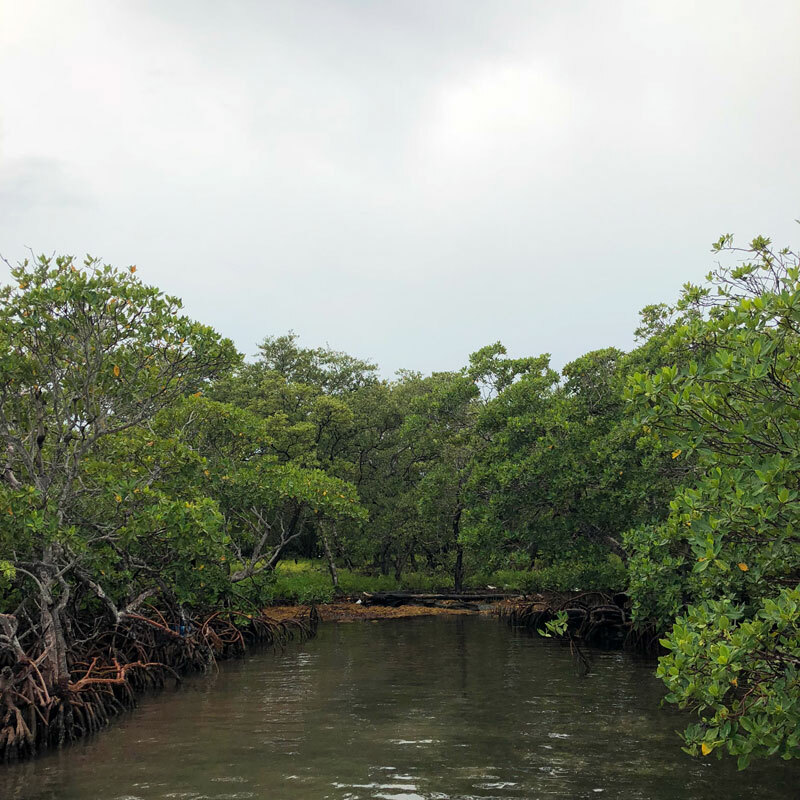 One has been minimally developed, leaving most of the mangroves, dirt, swamp and other goodies free to cover the land, with wooden boardwalks providing access between the few small buildings hidden within the trees. The owners charge USD $300/night for stays by one group at a time and have been booked solid for the past seven months, since the start of the tourist season and for more than a month after it was supposed to have ended. The other island has been heavily over-developed, with concrete seawalls, massive structures across its packed-sand, perfectly flat surface, and multiple rooms for multiple groups to stay. They can house more than 20 people at once and charge USD $395 for two people per night for a room, and $100/night for each additional person in those rooms. The owner has spent more than $1 million developing the property, and it shows! To us, it is very much overkill, but it was great to see just how much could be squeezed onto a small property, and the potential of a little creativity and marketing. The island is about one acre (0.40 hectares), which is a lot bigger than it sounds! 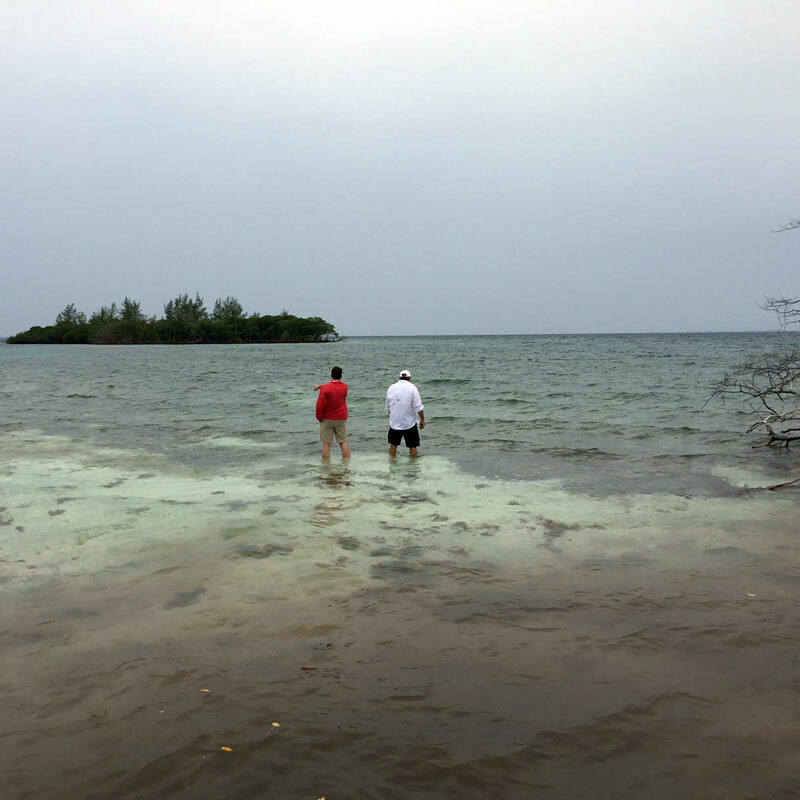 Belize law provides for a 66 foot (20 metre) setback from the water that “belongs” to the Government of Belize, which is not included in that one acre calculations. Effectively, round numbers, it doubles what’s available to us, since in practice we’ll have use of all this land. Nope! Blank slate! We would be looking at reasonable costs to build, however, and we have been speaking with developers and contractors in the area to get an idea of that cost. It would certainly not be inconsequential, but it is certainly within our budget. What would the total cost be? We have not entered into negotiations for the island as yet, so it’s a little too early to tell. We do have a general idea as to the various taxes/fees associated with the purchase (assume about 10% of the purchase price in taxes and other fees) and construction (probably 30-50% the cost of the island itself), but it’s within reach. Are we buying the island? We are over half subscribed to the project, and this was the first island that we saw, but it offers a lot of potential. We have not committed to it, and we continue looking, but right now it tops our list! We have a lot of great things to say about Belize! Stay tuned for future posts on the culture, food, people, legal framework, other islands, market metrics, revenue opportunities and general whimsical observations! Have any questions? Want to get involved? Email us! Use the contact forms on this website to reach our founders directly!